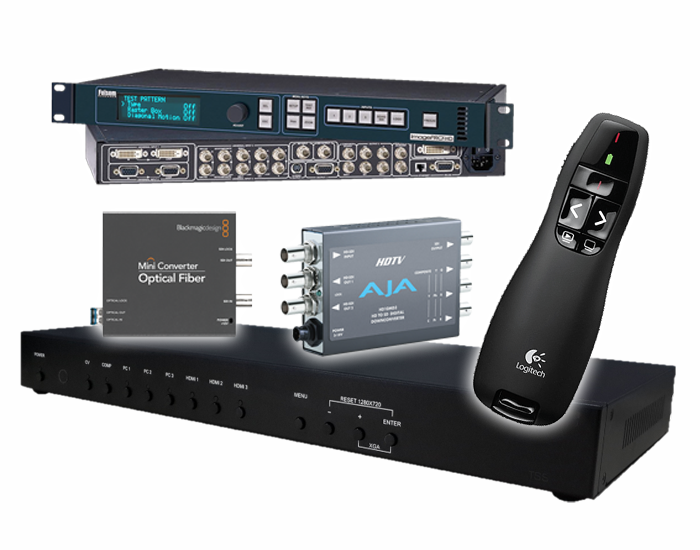 We have a rich choice of small, medium and big screens, multimedia projectors with brightness from 3,500 to over 60,000 lumens, exchangeable lens of projectors and video converters, video switches and multiplayers of high resolution, presentation flip charts, lecturer’s and conference desks, time monitoring sets, wireless presenters and accessories. 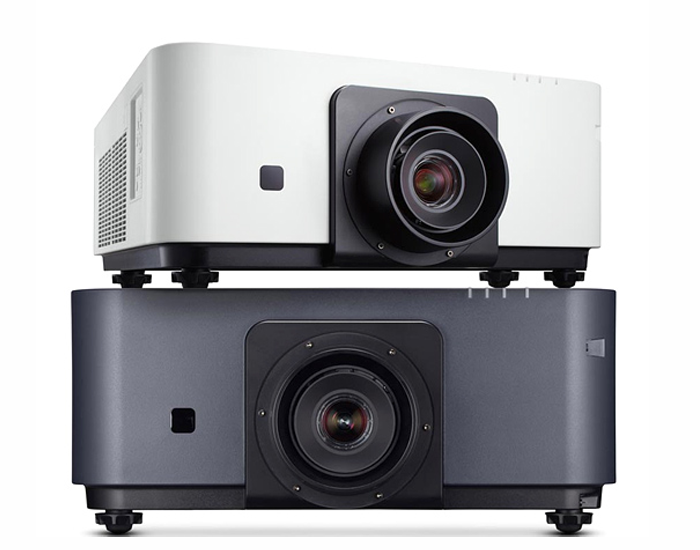 Multimedia projectors of high brightness and resolution. Exchangeable lens of multimedia projectors. High class of mobile projection screens. Professional screens for front and back projection. 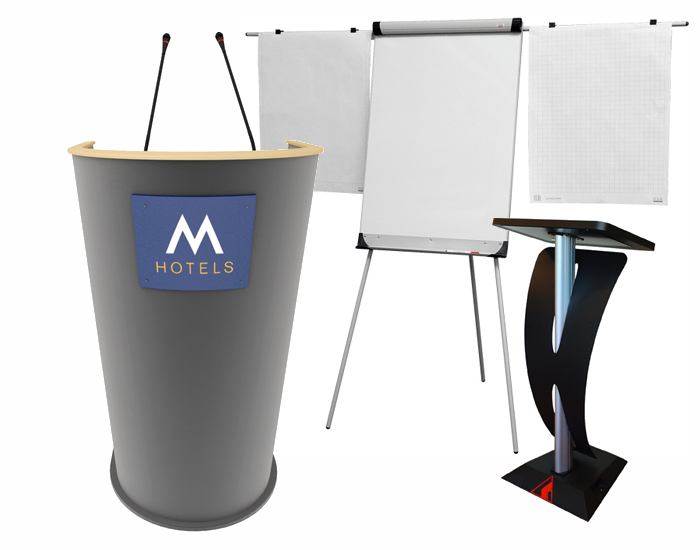 Presentation flip charts and magnetic whiteboards. Lecturer’s desks and tailor-made conference desks with built-in monitors. 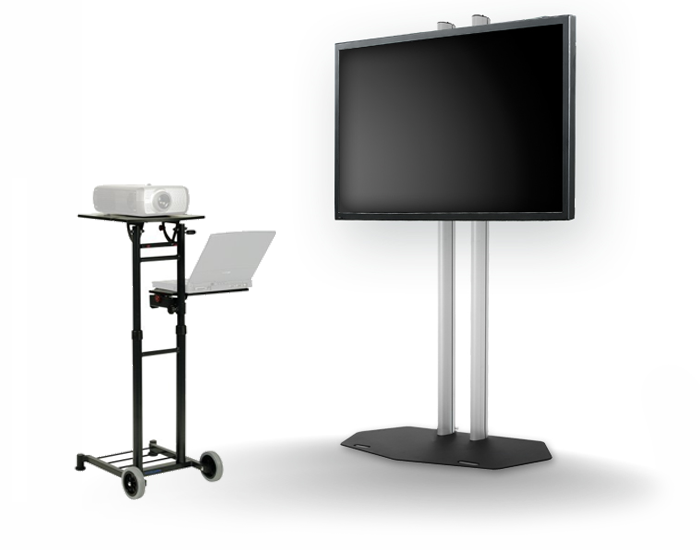 Professional stands for multimedia projectors and laptops. 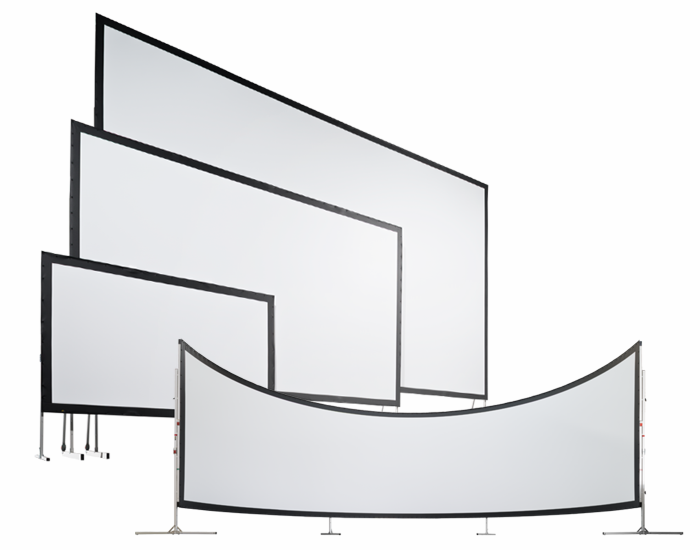 Adjustable stands for presentation monitors and television sets. System that monitor the duration of the report. Wireless lecturer’s presenters and laser pointers. Video switches and splitters.